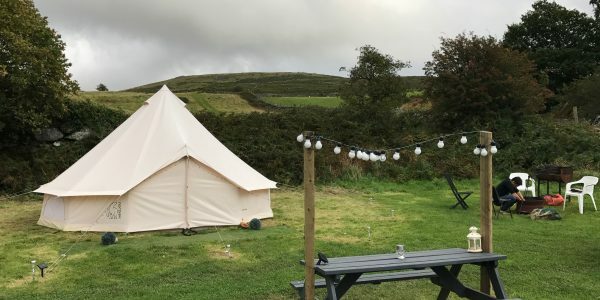 Camping was initially on the cards when we planned our stopover at Snowdonia National Park, but quickly realised that most camp sites only rented out tents and sleeping bags – but we needed other camping essentials for a comfortable experience. With a four year-old and a one year-old with us, we decided not to rough it out in the chilly weather. Snowdonia is known to be cold with super strong winds. We needed to stay warm while having the thrill of being close to nature. 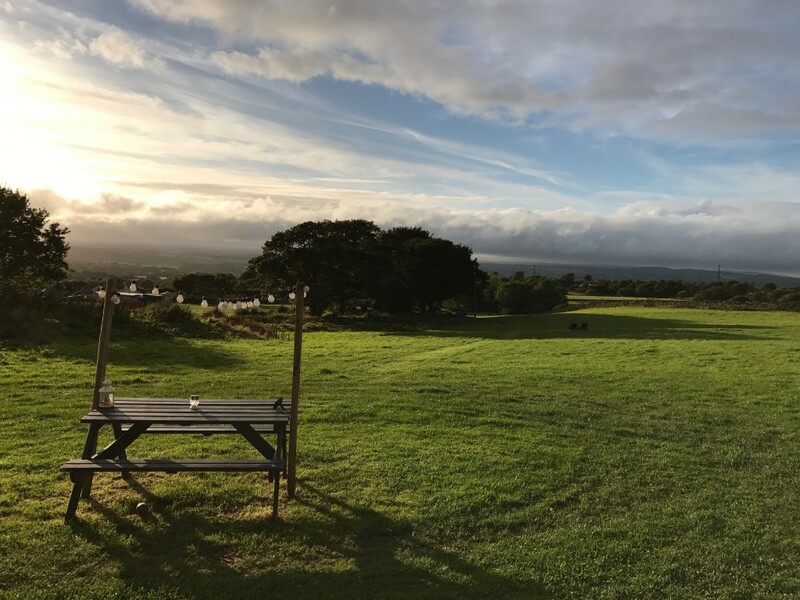 Without searching far, we found the perfect spot at Pant Hwfa Farm in one of their glamping bell tents. 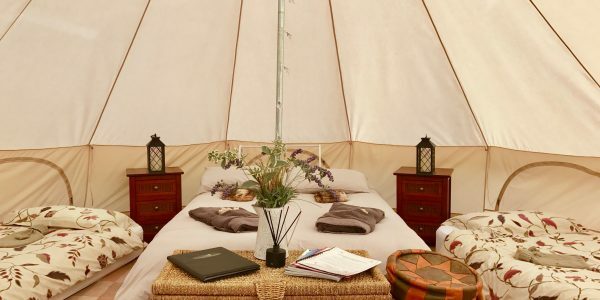 In case you haven’t already heard, “glamping” is the fabulous reincarnation of the classic camping experience without the need to pitch your own tent or set up your own rickety camp bed. It’s an ideal choice for those looking for a bit of a rugged experience without compromising on comfort. We arrived at the farm passing through narrow countryside roads and up a hill slope overlooking acres of farm land. We found some sheep happily grazing and unperturbed at our arrival. 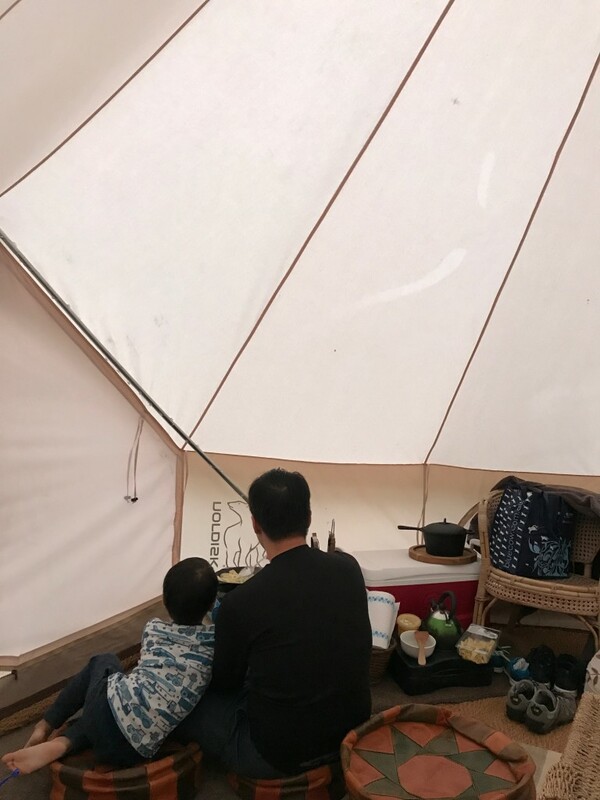 Our bell tent opened into a spacious and well-designed space for our family. It had a queen size mattress and two single mattresses all fitted and complete with fluffy duvets, a drawer cupboard filled with proper cutlery, Dutch ovens, a portable stove, a kettle, picnic mats – practically, all the essentials you will need for a cosy stay.There was even an icebox to keep our groceries fresh, a big dispenser of drinking water, hot water bottles, throw blankets and leather cushions for seating. Just outside the tent is a fire drum for cooking and a table and bench with fairy lights for a meal out in the open. 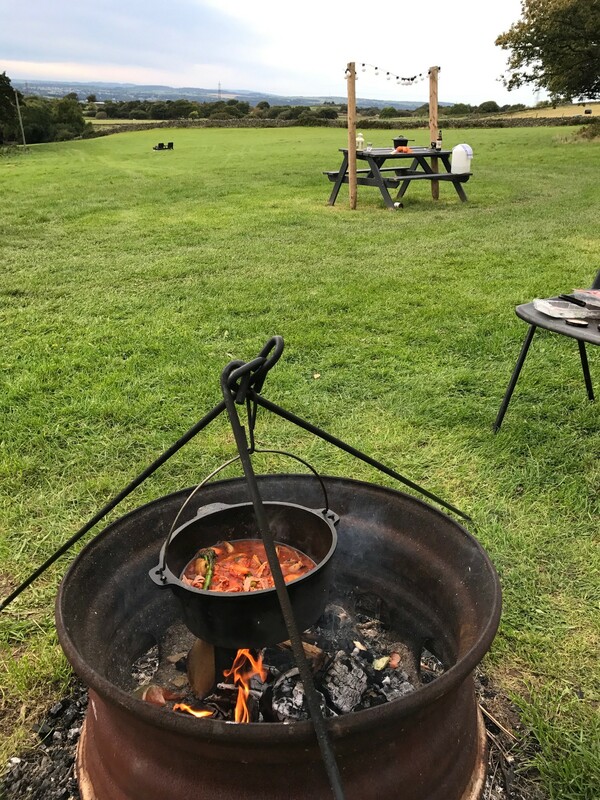 On the evening of our arrival, the winds were so strong that we couldn’t start a fire outside, so we had to cook a quick meal of pasta and meatballs in the tent. 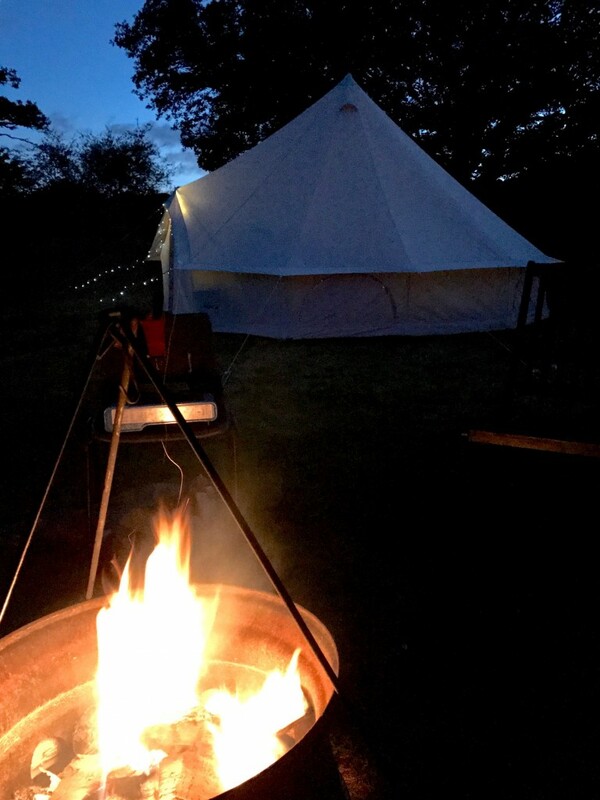 Unlike dome or A-frame tents, the bell tent is massive and we did not need to bend over to walk or cook. The space was just right for our small family. We huddled together and slurped up the warm meal in minutes! That night, we filled up our hot water bottles and tucked into bed for an early night. The children snored off very quickly making a soft symphony in the quiet of the night. At 5am, I woke up and decided to take a peek at the night sky and was duly rewarded with star studded skies. The soft gentle wind in the stillness of the night was incredibly special, so special that I didn’t go back to sleep. Not long after Terence woke up and started a fire and we sat by the fire and waited for the morning sun to peak. By 6am, the birds broke out in singing, the crisp morning dew set in and the sheep started grazing again. 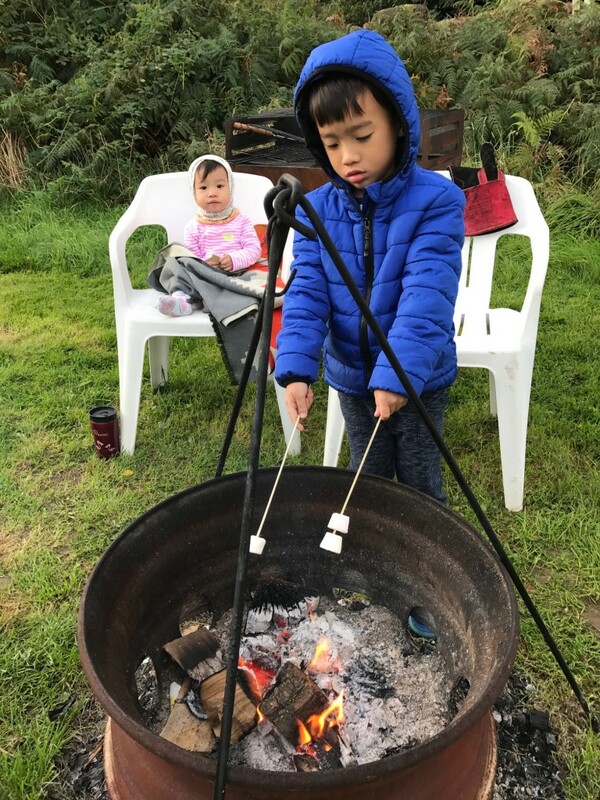 Then the children clambered out from their warm hiding and sat by the fire while roasting marshmallows as we cooked up some eggs and sausages for breakfast. Seth wandered off looking for branches and twigs to pick up while we cleaned up after brekkie, camping style – bucket and water system. Then we settled back in the tent for some card games and slowly crept back into bed for a late morning snooze. What piggies! It’s rare to find holidays with no agenda but enjoy each other’s company and rest. We did some exploring around the national park that afternoon and in the evening we were back at our tent. 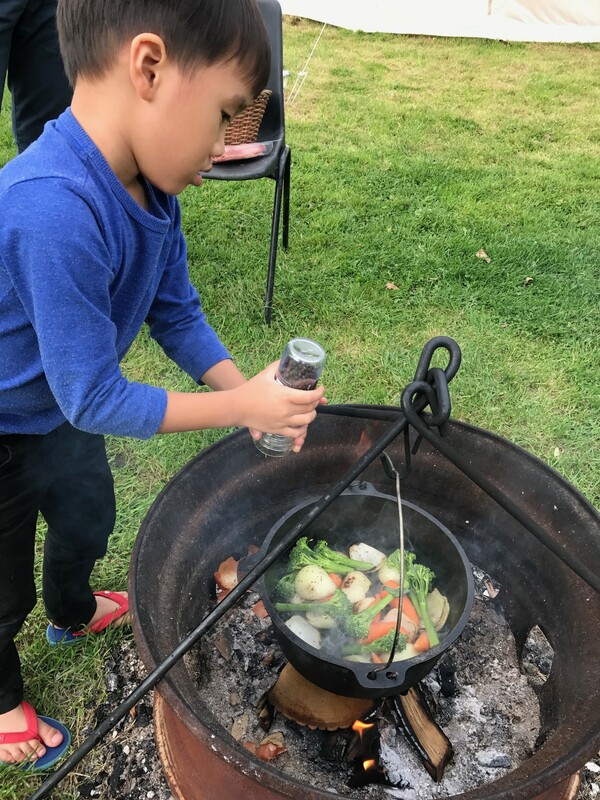 We cooked a hearty stew in the Dutch oven and for supper, we sipped hot chocolate with our legs tucked into the duvet as we told stories to the little ones. It was cold and windy outside but we were warm and toasty – bliss! If you’re traveling with young children and you want a bit of comfort and convenience for your little ones. Camping is a wonderful way to spend time with the family. You can teach them about nature, how to start fire and make smores and how to cook a simple meal over the fire. 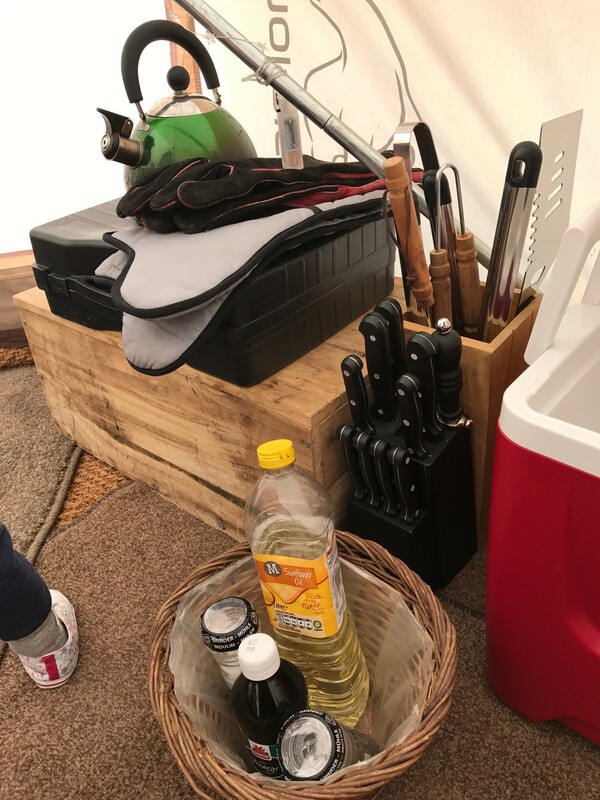 The weather is not great and you need a snug shelter for the night but still be able to start a fire and do all things associated with camping. You’re traveling for a long period of time and don’t have all your camping equipment with you. Sometimes renting equipment can be expensive or you may not find everything you need.